A much overdue sketch commission/donation payment for Islander-60 on dA. 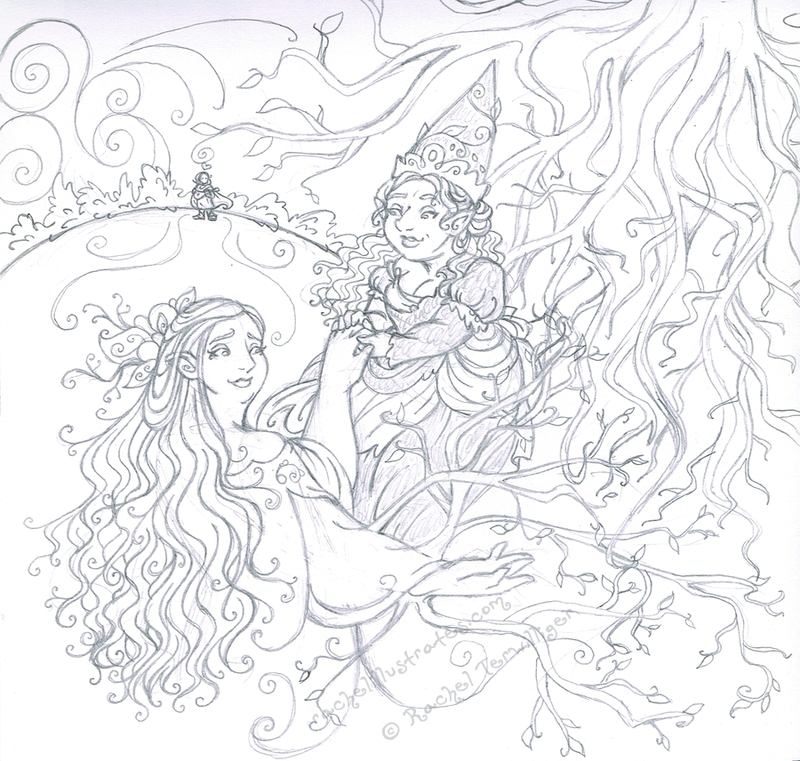 He said to surprise him, so based on his own work and his favorites here, I came up with this Satyr lady and Dryad lady. Work in progress on a personal piece. I’ve been reading Emily Carding’s “Faery Craft” lately and trying to do the suggested activities (much more slowly than planned). One of the chapters covers a Faery Zodiac based on the four elements and Fae creatures. Mine fell into the Dryad section, Eurydice. It was also suggested that one create something about their connection to their Faery Zodiac (what resonates with you, etc.) so of course I had to take a shot. I went and reread her myth, and found that she’s not very active or present in it at all, since its more about Orpheus’ quest (and failure) to return her to life because of his OWN heartbreak. That got me thinking a lot about HER, what she might have felt and how she might have been more accepting of her fate than he was. How as a Dryad, she was already a bit connected to the Underworld – through her roots – and how her connection to nature wasn’t necessarily broken by her death. And of course, how Persephone might take kindly to her. Which of course means my Gnomish version of her, as far as the art goes. I’ve been working on this bit by bit for several months, and just recently started the inkwork. Hoping for full color once its done.